From tree preservation to tree removal services, Joe Hanley’s Tree Trimming and Landscaping Inc. can do it all. We have the right equipment and personnel to get your job done on time and within your budget. We specialize in planting the most beautiful trees and keeping them healthy. 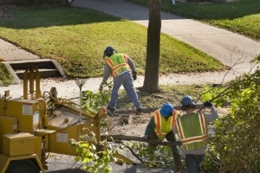 Our experts will handle all your tree care needs with the utmost care and concern. At Joe Hanley’s Tree Trimming and Landscaping Inc., we provide a wide range of services, including stump grinding, tree preservation, tree planting, hurricane cleanup, emergency tree care services and more. We proudly serve West Palm Beach, Delray Beach, Boynton Beach, Jupiter, Lake Worth, Wellington and surrounding areas. To learn more about our tree care services, contact us today at (561) 231-2933.